Editor: This story was released earlier today by University Communications and is also online at news.osu.edu/news/2015/05/19/skipping-meals/. COLUMBUS, Ohio – A new study in animals suggests that skipping meals sets off a series of metabolic miscues that can result in abdominal weight gain. In the study, mice that ate all of their food as a single meal and fasted the rest of the day developed insulin resistance in their livers – which scientists consider a telltale sign of prediabetes. When the liver doesn’t respond to insulin signals telling it to stop producing glucose, that extra sugar in the blood is stored as fat. These mice initially were put on a restricted diet and lost weight compared to controls that had unlimited access to food. The restricted-diet mice regained weight as calories were added back into their diets and nearly caught up to controls by the study’s end. But fat around their middles – the equivalent to human belly fat – weighed more in the restricted-diet mice than in mice that were free to nibble all day long. An excess of that kind of fat is associated with insulin resistance and risk for type 2 diabetes and heart disease. 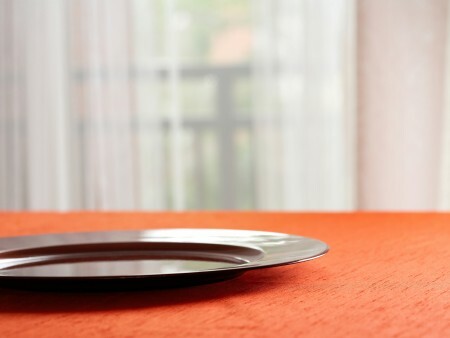 Belury and colleagues were able to tie these findings to the human tendency to skip meals because of the behavior they expected to see – based on previous work – in the mice on restricted diets. For three days, these mice received half of the calories that were consumed daily by control mice. Food was gradually added so that by day six, all mice received the same amount of food each day. But the mice that had been on restricted diets developed gorging behavior that persisted throughout the study, meaning they finished their day’s worth of food in about four hours and then ended up fasting for the next 20 hours. The gorging and fasting in these mice affected a host of metabolic measures that the researchers attributed to a spike and then severe drop in insulin production. In mice that gorged and then fasted, the researchers saw elevations in inflammation, higher activation of genes that promote storage of fatty molecules and plumper fat cells – especially in the abdominal area – compared to the mice that nibbled all day. To check for insulin resistance, the scientists used a sophisticated technique to assess glucose production. The liver pumps out glucose when it receives signals that insulin levels are low – for example, while people sleep, the liver supplies glucose to the brain. But that production stops after a meal, when insulin is released by the pancreas and performs its main task of removing sugar from the blood and shepherding the glucose to multiple types of cells that absorb it for energy. With this research technique, Belury and colleagues found that glucose lingered in the blood of mice that gorged and fasted – meaning the liver wasn’t getting the insulin message. “Even though the gorging and fasting mice had about the same body weights as control mice, their adipose depots were heavier. If you’re pumping out more sugar into the blood, adipose is happy to pick up glucose and store it. That makes for a happy fat cell – but it’s not the one you want to have. We want to shrink these cells to reduce fat tissue,” Belury said. This work was supported by the Carol S. Kennedy endowment, the Ohio Agricultural Research and Development Center, a Pelotonia graduate fellowship and grants from the National Institutes of Health. OARDC is the research arm of Ohio State's College of Food, Agricultural, and Environmental Sciences. Co-authors include Kara Kliewer, Jia-Yu Ke, Hui-Young Lee, Michael Stout and Rachel Cole of the Department of Human Sciences in the College of Education and Human Ecology at Ohio State; and Varman Samuel and Gerald Shulman of Yale University.